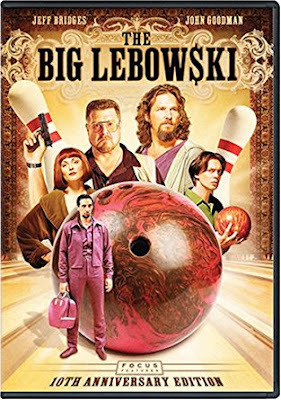 Summary from IMDB: "The Dude" Lebowski, mistaken for a millionaire Lebowski, seeks restitution for his ruined rug and enlists his bowling buddies to help get it. Review: I know this is a huge must see movie among all my friends. Its taken me a long time to get around to watching it and I can't say that I'm any better off for it. The story was ok, but I didn't have that one moment where I laughed out loud which is one of the main things I look for in a comedy. I have to say that the character dynamic was great. It was the one saving point for the movie. I'm glad that I watched it, but its not on my list of favorites. Three stars for the Big Lebowski.